Rajinikanth, who has always been reticent about his professional career and has steered clear of media interactions in the past decade or so, has spoken to anchor Archana of Zee Tamil television in a highly enjoyable 90-minute-long chat. Various snippets and never-heard-before facts about Rajinikanth’s life, 2.0, and his friendship with Kamal Haasan have been doing the rounds on social media over the past few days. The Kabali actor was full of energy and excitement, and in an ebullient mood throughout the interview, which is already being celebrated as one of his most candid interactions ever. Excerpts below. 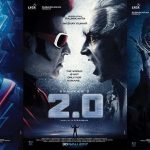 “2.0 is neither an extended version nor a sequel to Enthiran. 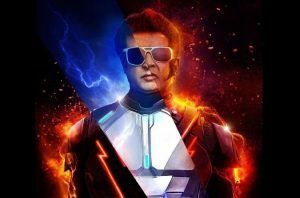 It’s a new world and only the characters from Enthiran like Chitti, Vaseegaran and 2.0 have been retained. Otherwise, there’s no relation between the two films. 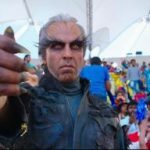 2.0 has an excellent, timely message from Shankar,” said Rajinikanth in a matter-of-fact tone. 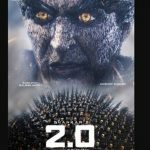 Superstar revealed that Shankar wanted to make 2.0 without any songs initially. “Then, they decided to have a title track for the film. Later, they felt that a background song would be good (smiles). And we had never planned for any duet in the movie. But ‘Enthira Logathu Sundariye‘ track made its way after taking into account that the screenplay is entirely subject-oriented and moves at a frenetic pace, so audiences deserve a breather in the form of a song. (AR) Rahman was still not convinced and felt that an album should have a minimum of four songs to provide listeners a wholesome experience. That’s how the fourth track came into place,” explained Rajinikanth. Rajinikanth revealed an exciting fact about one of his characters in the film. “Besides Vaseegaran, Chitti and 2.0, there is also a surprise character in the film which I don’t want to reveal now. 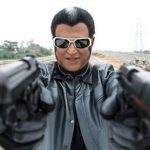 Shankar and I worked really hard to bring out the humor and love sequences involving Chitti in Enthiran, whose world was a first-time experience for both of us. 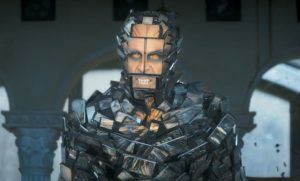 Being my fan, Shankar helped me bring out the histrionics of 2.0 character in Enthiran really well. So, working in 2.0 was a smooth experience for me. I didn’t face any difficulty at all. 2.0 is more of a technician’ picture,” he said. Rajinikanth made a strong statement by comparing his blockbuster Baasha with 2.0. “If you look at my films, Baasha is my all-time favorite and had the best screenplay. After Baasha, I think it has to be 2.0. The screenplay will totally take you in and leave you mesmerized,” he stated. The Kaala actor waxed lyrical about Akshay Kumar’s role in the film and his dedication towards the project. “Hats off to Akshay Kumar for his hard work and patience. It’s unimaginable. We were shooting in sweltering conditions in Delhi during summer, and his suit had to be pasted with gum throughout the body. His makeup process was extremely demanding, but he had never indicated any disapproval. He worked with great dedication. His performance comes in two to three dimensions and with each character, he has proved his mettle as an actor. His role will definitely be talked about after the release. He is the real hero and villain of the film,” he said. “If you exclude glamour, dance and all, Fatafat Jayalakshmi is my favorite co-star. She excelled with her performances in my films like Mullum Malarum and Aarilirunthu Arubathu Varai in the ’70s. After that, I think Radhika in Nallavanukku Nallavan had an excellent role.